Video conferencing was adopted fairly quickly by much of the business world. The ability to be in multiple locations without leaving the office or home office were readily apparent to many companies, and they have since used video conferencing to improve the quality of life for their employees and customers while saving money on travel costs. 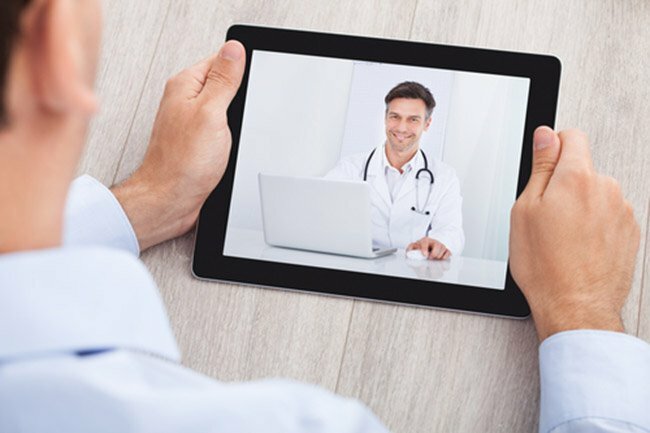 There has been a lot of speculation about the the potential uses of video conferencing for the medical industry, because it seems like an obvious solution to improve and streamline customer care at a time when everyone is looking for a way to decrease the cost of medical services. It is nice to see several forward thinking medical facilities utilize video conferencing services to improve patient treatment. Here is a web roundup of recent articles that highlight the use of video conferencing in medicine. news-medical.net – Video Conferencing can facilitate shared decision making between patients and and family caregivers. The Herald – Telemedicine holds promise of cheaper, wider medical care. Healio.com – Wills Eye Hospital advances telemedicine efforts. Sun Sentinel – New Cleveland Clinic telemedicine app offers live health providers 24/7. nojitter.com – I have seen the future of healthcare…and it is now. Times Union – Medical care without making a costly office trip.